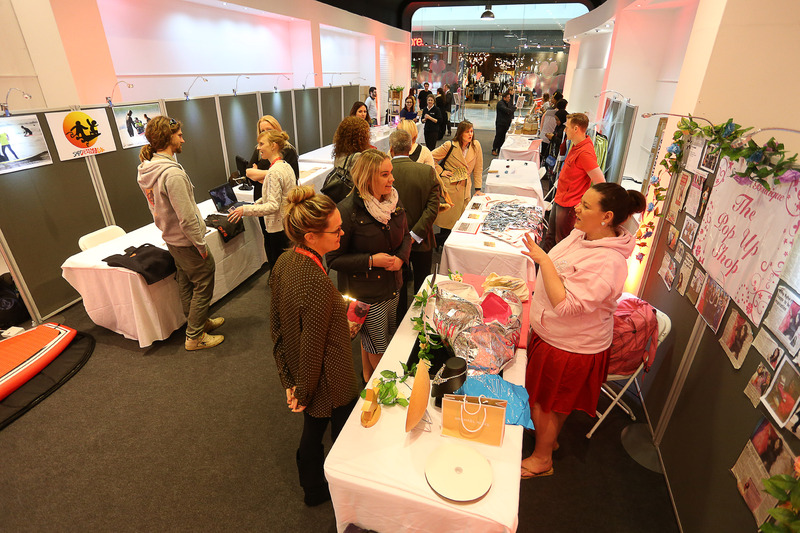 Young entrepreneurs supported by youth charity The Prince’s Trust will take over a space in Cardiff’s St David’s Shopping Centre this month (23rd – 26th March) to showcase their businesses to the public. The 20 businesses on show at Unit LG35 include clothing boutiques, a surf school, historical building conservation, a florist and a furniture maker. All of the entrepreneurs have taken part in The Trust’s Enterprise programme, which provides practical, financial and mentoring support to help unemployed young people set up in business. In the last 10 years, The Prince’s Trust Cymru has helped more than 500 young people to become self-employed in Wales. As well visiting the different businesses and meeting the young entrepreneurs behind them, visitors will have the opportunity to take part in free, inspirational workshops on the 23rd and 24th of March. If you would like to find out more or sign up for a workshop, please email siwan.blockwell@princes-trust.org.uk. Currently, more than one in eight young people in Wales (13%) are struggling to find work. The Prince’s Trust is committed to raising the aspirations of young people, helping them into work, and driving social and economic prosperity in Wales. For more information please email general.wales@princes-trust.org.uk or call 0800 842 842.